• Stigma is the attitude that a person is unacceptable because of a difference, such as an attribute, trait or disability. • Stigmas are fueled by negative stereotypes. They are dehumanizing and can lead to discrimination. • Stigmatization leads to isolation, and it interferes with a person’s ability to fully meet one’s individual needs and be a productive member of a community. 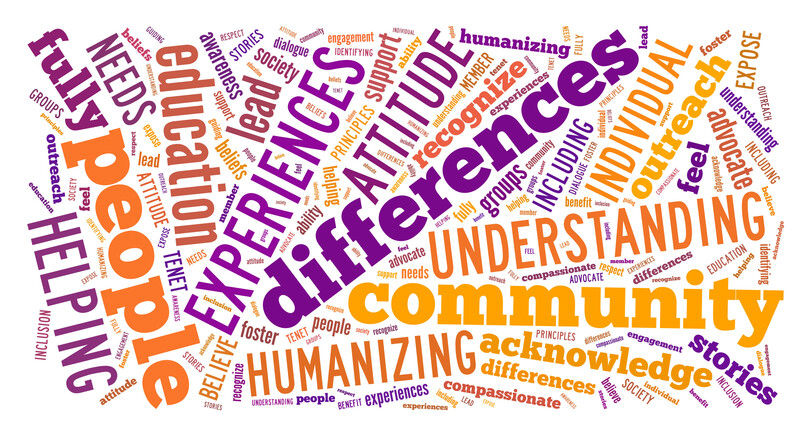 • Through compassionate and tolerant outreach, education and dialogue, we acknowledge the painful experiences of those who are stigmatized and we advocate for the full inclusion, support and well being of ALL persons. • We can break down barriers by helping people understand differences through personal stories. These will help people recognize the unintended consequences of stigma. 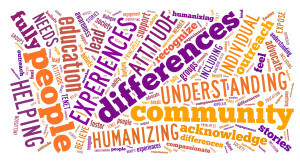 • All individuals that feel stigmatized, including but not limited to people having a mental illness, experiencing religious discrimination, racism or weight bias, having HIV/AIDS, a disability or disfigurement, dwarfism, identifying as LGBTQ and others benefit from community engagement and inclusion. • We believe that education and awareness will expose and reduce stigma in our society, and foster understanding, relatedness and respect.